An Irish list of essential items to have at home before the new baby arrives. Some notes about things we wish the antenatal classes would have told us that we'd find useful in Holles Street hospital when our son was being born. 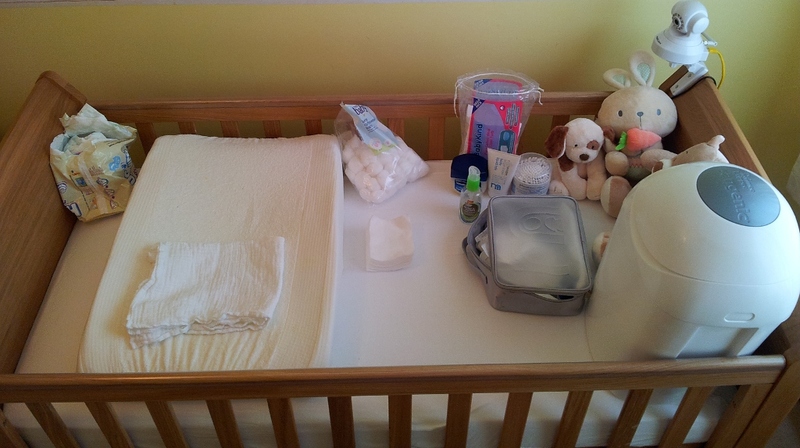 Our nappy changing station. I didn't find any suggested layouts before biscuit showed up, so I'm posting ours up now in case someone finds it useful.